The Montano barn has done pretty well so far this meet, but Beschizza has not–with one win in 20 starts. He’s much better than that, so look for him to be hungry in the opener. #6 CHEYTAC switches from the green stuff back to the brown stuff, most likely because he didn’t fare well at all in a grass allowance at Fair Grounds in February. Logical contenders are #1 HARDAWAY and #2 AIZHAI and we’re playing against morning line favorite #8 TACTICAL PURSUIT. #9 KALISPELL is an Illinois bred piloted by Sonny Leon and I like her over the Kentucky bred #2 MIZZEN AIR ridden by Irad Ortiz Jr. One reason–Kalispell is speed cutting back in distance, and the other is both Mizzen Air and #3 OUR GIRL GABBY will be hammered at the window, I don’t like the latter at all, but the former is a win contender at a short price. #4 MISCHIEVIOUS KAT and jockey Lanerie brings some value to the table, and should be used in exotics. #4 MIDNIGHT SWAY is the best of the bunch and is useable as a single in multi-race bets. Favorites have done extremely well at Keeneland so far, and this one should continue that trend. #2 BALADERA is the next-best option. A very contentious allowance race on the turf, it’s important to go deep here–especially in the pick-4 which could start very chalky. My top pick is trying the grass for the first time but pedigree suggests it should be of no concern for #12 AWARD WINNER. Rosario needs to get this one forwardly placed for the best chance to win. #7 DEMARCHELIER will be tough to beat, but I think Rosario is live, even with the outside post. Between the #8 SMOOTH WITH A KICK and #9 UNICORN, this race is a toss-up between the top two contenders. It could almost be billed as a two-horse race, but #4 HIGH ROAD and Irad Ortiz Jr. MAY have some noise to make. Go two-deep in the pick-5 but three-deep in the early pick-4. These three are the only logical winners in this field, with #8 and #9 with the much better chance of scoring. Box them in exotics. An allowance non-winners of three looks like a stakes race at some tracks. #9 CURATE is the likeliest of winners but will represent little value. If you feel like playing a late pick-5 single Curate. I’m going to pass as the Bernardini gelding trained by Cox won’t add value to the late multis. #7 MR. CROW sports the same morning line odds of 5/2 as Curate, but by post time they will be vastly different. I’m playing against #1 COPPER TOWN as he’s had issues in the past. #8 BALANDEEN and his 10-1 m/l odds could help the exotic prices. Use underneath. Taking no chances in the late pick-4 here as this 5-½ furlong turf sprint is up for grabs. I’ll give the slight edge to #8 PLAY ON over #12 CHELSEA CLOISTERS, but any one of seven contenders here could win this race. Do NOT leave #4 BOHEMIAN BOURBON #9 WEABIE or #10 STILLWATER COVE off your tickets. Taking a shot here with #8 SONNETEER as I feel the pace of this race sets him up to have a big closing kick late. He and Lanerie will be much less regarded at the window than most-likely favorite #2 KERSHAW who is very good in his own right. #4 TELEKINESIS rounds out the likely winners. 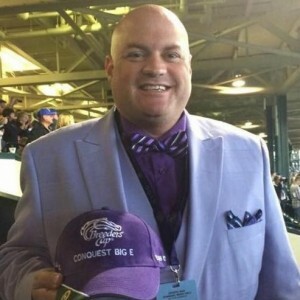 Key Sonneteer over Kershaw and Telekinesis in exactas and trifectas. The Maker’s 46 Mile is one of the flagship graded stakes races of the Keeneland spring meet, sporting past winners such as Jack Milton, Wise Dan, Miesque’s Approval and Artie Schiller. #6 HEART TO HEART won this Grade 1 turf mile last year, but should have his work cut out for him if he were to repeat. My top choice here is QURBAAN who looks to become a multiple graded stakes winner for trainer Kiaran McLaughlin and jockey Irad Ortiz Jr. #4 DELTA PRINCE would be the top choice if he wasn’t coming off the bench for the first time since the Pegasus World Cup Turf race. A “longshot” to key underneath is #8 GREAT WIDE OPEN. Chad Brown owes me. He may not know it, or care, but I’ve bet his horses a few times during this Keeneland meet and have very little to show for it. I lost my “Bail-out Special” backing him yesterday, and I’m just crazy enough to do it again today. Looking at this MSW affair, once again he has the best horse on paper. Will he have another disappointing finale, or can we all walk away from Keeneland smiling because we hit the last race and we hit it big? I’m going for the latter and betting #11 PALOMITA, the Into Mischief filly to break her maiden in the race after the feature. Castellano and Brown are about as potent of a jockey/trainer combo going now, so it’s full steam ahead, even if the filly has some question marks. Sometimes, you just have to “bet it and forget it” and that is the case here. A single in the late pick-4, we’ll have all our eggs in the Palomita basket for the Bail-out Special. Key #11 over #6 DOLL COLLECTION and #10 SAIL ON in exactas and over ALL in the trifecta. I’m 2-for-6 so far with these bets and feel good about getting to 3-for-7.